Two classic and easy combos from Mandy and Hallie. 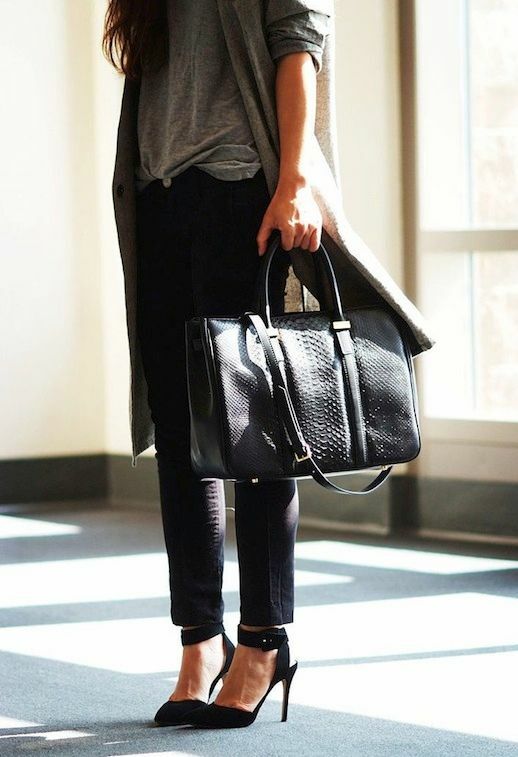 Throw on a simple jacket, basic solid or striped tee, black skinny pants, a luxe textured bag, sleek black heels and you're set! For more inspiration, check out my other classic + easy combo posts. 0 Response to "CLASSIC + EASY COMBO | PART 6"